• For each section, a maximum of 4 (four) photos can be submitted. • There is no participation fee. 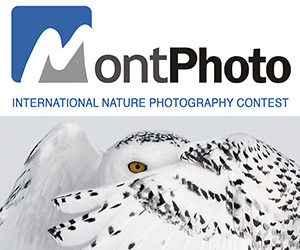 • The contest is open to all professional and amateur photographers from anywhere in the world. The only exception is that selection committee members, contest secretariat officials, and first degree relatives of the TFSF (Photographic Arts Federation of Turkey) representative cannot participate in the contest. • Participants must be the original copyright holder of the photo that they submit. By submitting their photos, they are considered to have affirmed their rights. • The participants declare and affirm that they are the sole owner of the photo(s) that they submit, and that all permissions concerning to the photo are granted. If a prize winner is discovered to have violated these conditions, they are subject to the rule violation process. • Participants that represent a photo as theirs when it is not owned by them, or act in any other way with the intention to deceive the selection committee are subject to the rule violation process. • Participants who violate the rules are subject to the sanctions stated in Article 13 of ” TFSF Contest Organization Standards Guideline” (http://www.tfsf.org.tr/en/download/contest_regulatory_standards.pdf). The prize is cancelled and the place is left empty. Prizes, titles and any other benefits of contest winners who are discovered to have acted in violation of their declarations and affirmations hereby are revoked. If a prize was given, the prize winner is required to return it. This cancellation does not give other prize winners or contestants any rights to claim the prize in question. • Participants that were banned from the contest by TFSF due to the reasons explained above and whose ban is still in effect, and people on the FIAP red list, cannot participate in the contest. • Checking the FIAP red list and TFSF banned list, and ensuring that those on the lists do not participate in the contest is the responsibility of the selection committee. Exhibit (a maximum of 11 photos may be selected for each section). FIAP Best Photographer Award plaque (Awarded to the photographer winning the most prizes and exhibit selections in the salon). The results will be announced on the websites http://ipc.orhanholding.com, www.orhanholding.com and www.tfsf.org.tr starting on 01 November 2018. Not eligible to enter? - Find contest where you are. •Winning photos and photos selected for the exhibit will be stored in the Orhan Holding archive. As long as the owner is credited properly, the photos may be used for any and all promotion purposes, and the owners will not receive a payment for copyright. •Photographers participating in the contest agree that winning photos and photos selected for the exhibit may be used by Orhan Holding in exhibits and catalogues. •According to the rules of the contest, copy of works is allowed to enter printed or digital catalogues unless they are expressly prohibited by the author. In this respect, copyright rules must be obeyed. Under any circumstances, Orhan Holding does not allow the use of photographs for other purposes. •All photos submitted by the participant must be taken by the participant. The participant is legally responsible for any copyright violation that may arise due to inclusion of somebody else's whole or partial image in the photo. 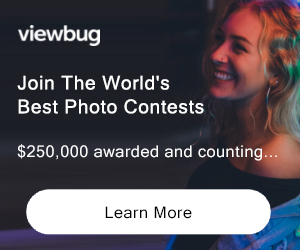 •It is assumed that people in the photos submitted to the contest have agreed to having their photo taken and having this photo sent to a contest, and this photo being published on the internet and/or printed publications. The participant is responsible from any disputes as a result of from the aforementioned uses of the submitted photo. •Participants that submit a photo declare and affirm that they have gotten all the necessary permissions regarding the photo and that they will be held responsible for any conflicts that may arise due to an issue concerning permissions. Orhan Holding shall not be liable regarding any disputes because of the aforementioned issues. •In the case that prize winners do not attend the award ceremony, their prizes will be sent to their home address. Orhan Holding cannot be held responsible for damages to the prize during shipping. •Following the contest, a digital album will be prepared that contains the winning photos and the photos selected for the exhibit, and this album will be ready for download beginning December 2018 from the website http://ipc.orhanholding.com, www.orhanholding.com. •Winning photos and the photos selected for the exhibit will be published on the website http://ipc.orhanholding.com, www.orhanholding.com, and will be displayed in places to be determined. Moreover, the photos that receive a prize, honorable mention, or special awards will be published on the website http://www.tfsf.org.tr and TFSF 's social media accounts (Facebook, instagram, twitter) as well as being featured in the TFSF digital Almanak 2018 on the pages reserved for our establishment. •Photos that do not receive awards and exhibits during the contest will be deleted 90 (ninety) days from the date of the Result Announcement Date. •The photos will be presented to jury in a fully darkened saloon with a 3840 pixels x 2160 pixels resolution picture projector on a screen size of at least 1, up to 2.5 meters diagonal, or on a 42/55 inch LCD monitor with ultra HD 4K 3840 pixels by 2160 pixels resolution. •In matters not mentioned in the specification or in cases that can not be understood, the decisions of the Organizing Committee and the TFSF DB and the TFSF Competition Regulation Standards Directive shall be valid. • The participants that register on the website http://ipc.orhanholding.com and upload a photo have agreed to these rules. This specification enters into force by sending the contest photographs of the contestant. With participation, competitors will be accepted as they have read and accepted the provisions of this specification. Contestants are not entitled to appeal the provisions of this specification.